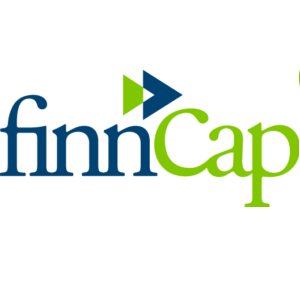 finnCap Group Plc (LON: FCAP), a leading adviser and broker to ambitious growth companies both public and private, has today announced that Admission of the Company’s Shares to trading on AIM will take place at 8.00 a.m. today, 5 December 2018. Dealings will commence under the ticker “FCAP”. The Company’s ISIN is GB00BGKPX309 and its SEDOL is BGKPX30. The Company will, on Admission, based on a Placing Price of 28 pence per Share, have a market capitalisation of approximately £47.1 million, following a successful total Placing of approximately £5.0 million (before expenses). The Placing consists of a £3.75 million placing of new money which will be used to partially fund the cash consideration for the Acquisition of Cavendish, which will complete on Admission, and £1.25 million on behalf of selling shareholders to realise part of their investment in the Company. The Company’s Admission Document can be viewed at: www.finncap.com. Copies of the Admission Document will be available at the registered office of the Company, subject to applicable securities laws or regulations. Save where otherwise defined herein or where the context otherwise requires, terms defined in this announcement shall bear the same meaning as in the Company’s Admission Document. Grant Thornton is acting as Nominated Adviser and finnCap Limited is acting as Broker to the Company. Following Admission, the total number of Ordinary Shares in finnCap Group Plc in issue will be 168,230,089; each with equal voting rights. The total voting rights figure can be used by shareholders as the denominator for the calculations by which they will determine whether they are required to notify their interest in, or a change of their interest in, the Company under the Disclosure Guidance and Transparency Rules of the Financial Conduct Authority. Click FCAP for the full archive.